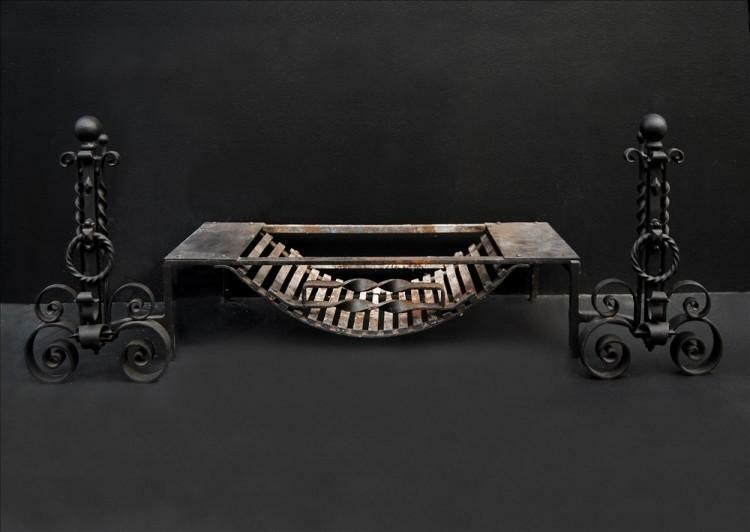 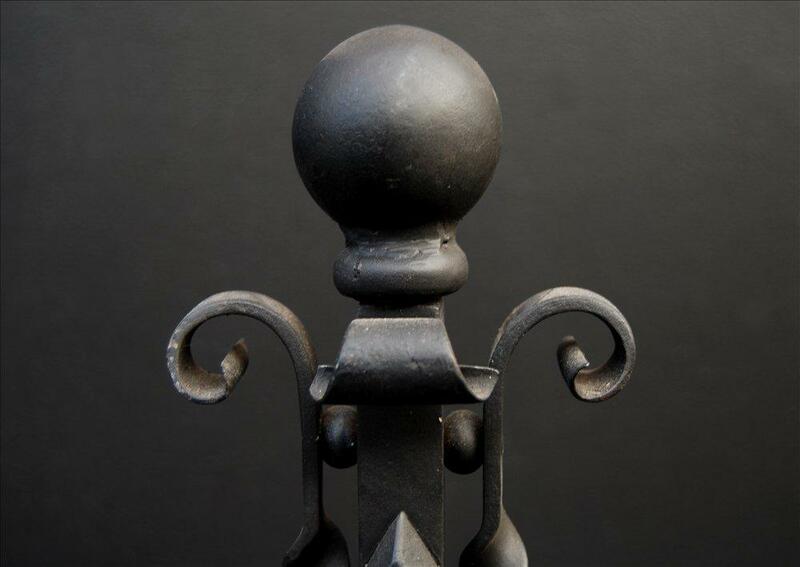 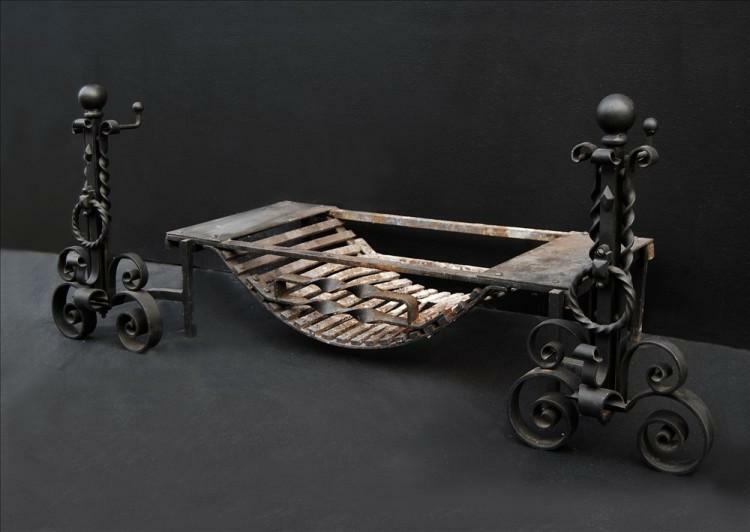 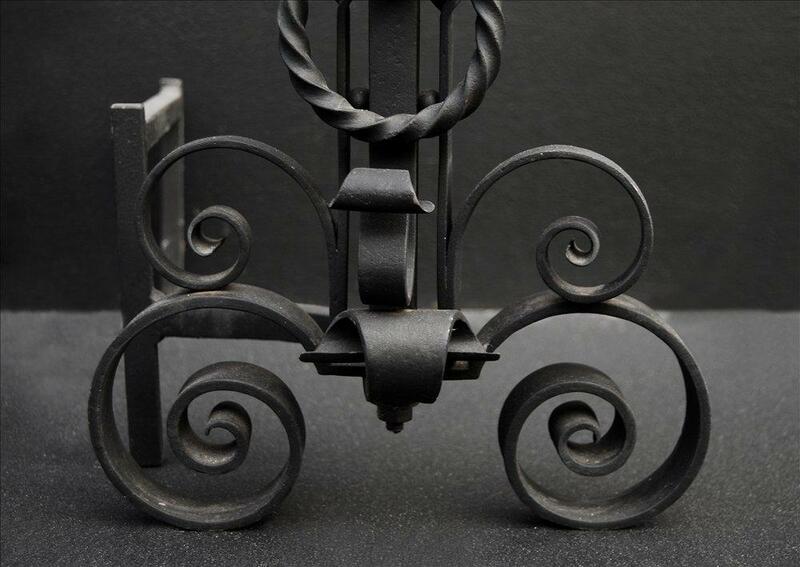 Pair of black wrought iron firedogs with scrolled design to bases, barley twist rings to front and uprights and round ball top. 20th century. Pictured with wrought iron basket, available separately. 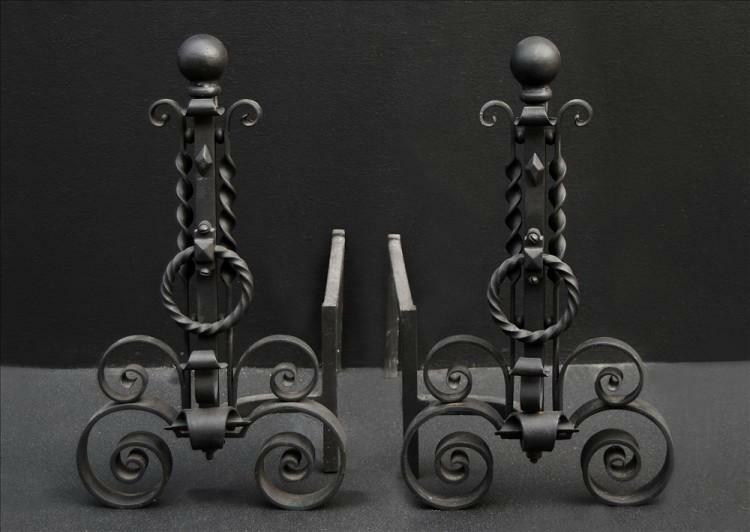 Firedogs could be polished as required at an additional cost.